Dry skin type is often talked about in face care, however this condition can also appear periodically on our hands, legs and other body areas. Cold weather, wind and dry air are often the cause of it, so it is important to give extra care to our skin especially during winter months. Skin is the largest organ on our body, a protective layer holding in all of our bodily fluids. Drinking plenty of water is important for the health of the whole body, however when it comes to dry skin, using topicals that promote hydration is also very beneficial. Not all body washes, lotions and creams will nourish our skin properly. On the contrary, using low quality products from unknown brands can even cause excessive dryness, rashes and skin irritations. 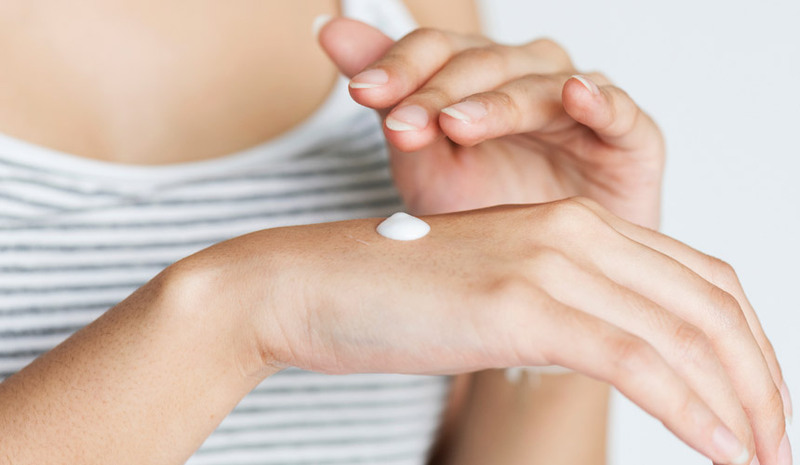 This usually happens with skin products that carry parabens, silicones, sulfates and other harmful ingredients that may or may not trigger one of these conditions on your skin. So, the first thing to do to hydrate skin is to invest in natural-based skin care products that are free of harsh chemicals and safe for daily use. Such products are formulated on nourishing plant oils and botanical extracts with deep moisturizing effects. The way you treat your skin after shower is also important in skin hydration, so instead of rubbing vigorously with a towel when drying off, try patting your skin gently. This way you will leave a bit of moisture on your skin before applying a lotion. For more tips on how to hydrate skin properly, watch Phillip demonstrating the process using his own skin care line.